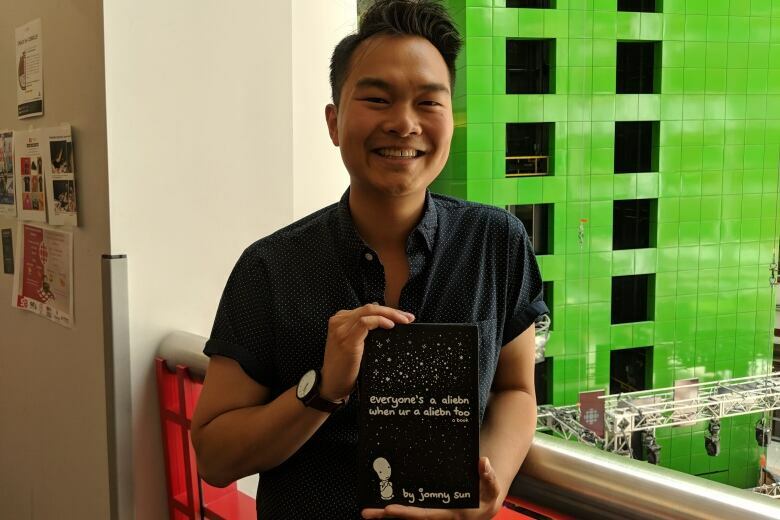 When Jonny Sun entered his first year at the University of Toronto, he found it hard to cope with the demands of engineering school. 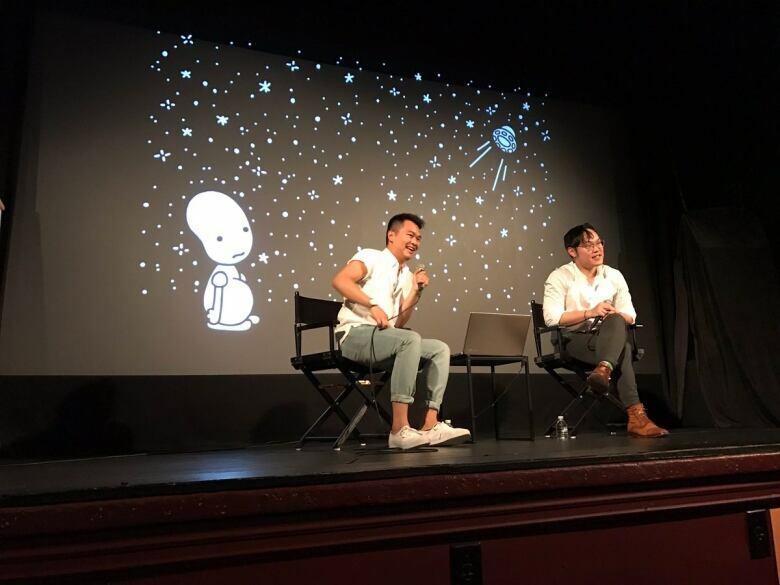 “For the first year I was just deeply anxious and depressed with this program and feeling like this wasn’t the place for me,” said the Chinese-Canadian writer, artist, playwright and full-time PhD student at MIT. Feeling overwhelmed with school and struggling to fit in, he’d go home and self-soothe by playing music for hours. “I’d play sad songs on my guitar until three or four in the morning and just not really address it and not really deal with it,” he told Elaine Chau, host of the CBC Radio special Asian or Canadian? Growing up in Toronto after his parents immigrated to Calgary from China in the 1980s, Sun always felt like an outsider. “Once I started really coming into myself and figuring out my identity, I’ve realized that I’ve always felt like an observer and not like a participant in any community that I was a part of,” he said. He’d noticed that, as a teen, he could spend hours talking to friends on internet chat programs like MSN Messenger but would be too shy to talk to them in person at school. “They would be part of cliques that I wasn’t part of but once we got home, on MSN we would talk all night,” he said. But it took him a while to figure out that it was, indeed, anxiety. “In my childhood, I never had those words,” he said when describing how he felt growing up as a first-generation Canadian. People would use words like “shy,” “quiet” and “sad” to describe what he was going through, rather than anxious and depressed. “I was always shy and quiet and secretly wanted to be on stage and performing and acting and singing and being funny,” he said. That was part of his crisis in university. He’d wanted to be an artist and performer, but he’d chosen the engineering program instead. Sometimes, Sun said, there’s a limited definition of success in Asian communities — becoming a doctor, a lawyer or an engineer is the main goal. “These are the boxes and the rules that you must stay within in order for us to grant you success and acceptance,” he said. Years after Sun found his voice chatting on MSN, he created a fictional character named Jomny, an alien trying to navigate life on Earth. As Jomny, Sun would write funny, wholesome tweets that on average got thousands of likes on his Twitter account. Having moved away from home to further his studies in the U.S., Sun says Jomny was a way to help him share jokes with friends and the comedy community he had in Toronto. These days, he’s got over half a million followers on Twitter and a book featuring the alien Jomny called Everyone’s a Aliebn When Ur a Aliebn Too. Despite his popularity, Sun is still surprised when people reach out to him saying they’ve had similar experiences with anxiety and depression. “There’s something still so lonely about my experience that I still don’t know if other people will relate to it,” he said. It was only recently that he became more comfortable talking about his own mental health and the way Jomny the alien relates to that. “I think a lot of it has to do with race and my identity as an Asian-Canadian. I think I’ve internalized that idea of being quiet and being sort of obedient and subservient is valuable,” he said. He realizes that it might be hard for many Asian-Canadians to talk openly about their struggles because they might be wary of showing any weakness. “It’s a stigma that’s tied to racism. It’s tied to being a different kind of Canadian,” said Josephine Pui-Hing Wong, a professor at Daphne Cockwell nursing school in Toronto. As part of a three-year project called Strength in Unity, Wong interviewed over 500 Toronto men of Asian descent to talk about mental health in their communities. Many of them told her that the shame of talking about mental illness is compounded with “the daily shame” of being treated as inferior to non-white Canadians. “The reality is that there are varying classes of Canadian,” she said. Another reason speaking up is difficult, according to Wong, is that mental health is invisible. “Most of the images tied to the information, knowledge and positive messages about mental health are mostly white,” she said. She warns, however, that this silence isn’t specific and isolated to Asian communities alone. “One thing that’s interesting about racialized communities is that they think other communities are more open-minded than our own. All communities find it hard to find language to talk about this,” she explained. In Sun’s life, he’s been the one to encourage and teach his family how to talk about mental health. “If I didn’t grow up with a language to talk about mental health, then chances are they also didn’t,” he said of his parents. Written by Bria John. This segment was produced by Samantha Lui.